Home > About Greg S. Gargulinski Esq. About Greg S. Gargulinski Esq. Greg S. Gargulinski is a DWI attorney and a partner with the law firm, Davison, Eastman, Muñoz, Lederman & Paone. Greg’s legal practice is focused in the areas of criminal law and municipal court defense. In this capacity, he has represented clients in matters involving DWI/DUI, as well as criminal defense at the State, Appellate and Federal levels. Greg routinely lectures on various areas of criminal and motor vehicle law to members of the bar and the community. And he writes articles in our blog. He was recognized as a New Jersey Super Lawyer – Rising Star in 2014 and 2015*. Greg Gargulinski is admitted to practice law in New Jersey and New York. He is an active member of the Monmouth Bar Association where he previously served as a Trustee and Co-Chair of the Municipal Court, Criminal Practice and Sports Law Committees. He is also a member of the American Bar Association and its Section on Litigation, the American Trial Lawyers of America and both the New York and New Jersey Bar Associations. 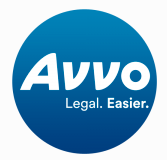 Check out the reviews for Greg Garulinski on AVVO.